G.O. 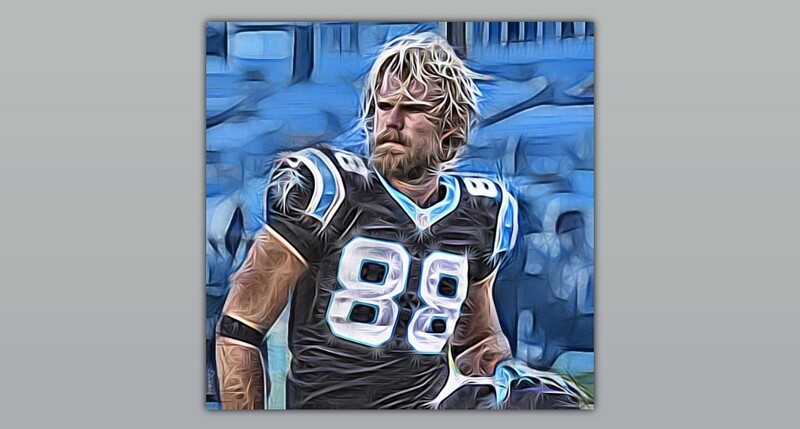 Power – this is an edit of the power house Greg Olsen of the Carolina Panthers. 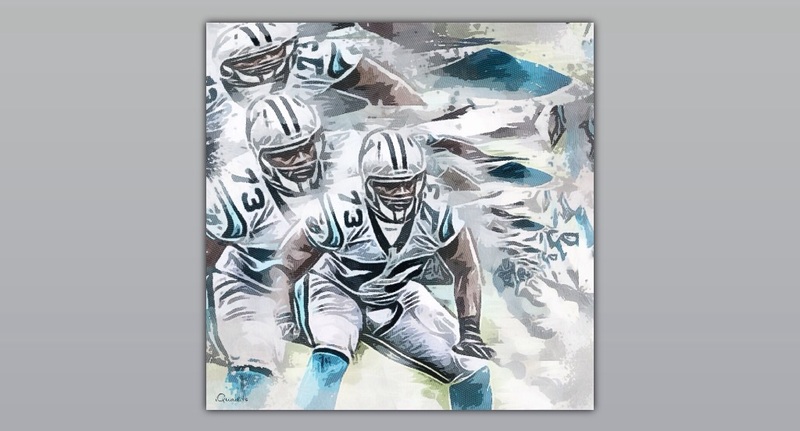 Get your canvas of this MVP today! 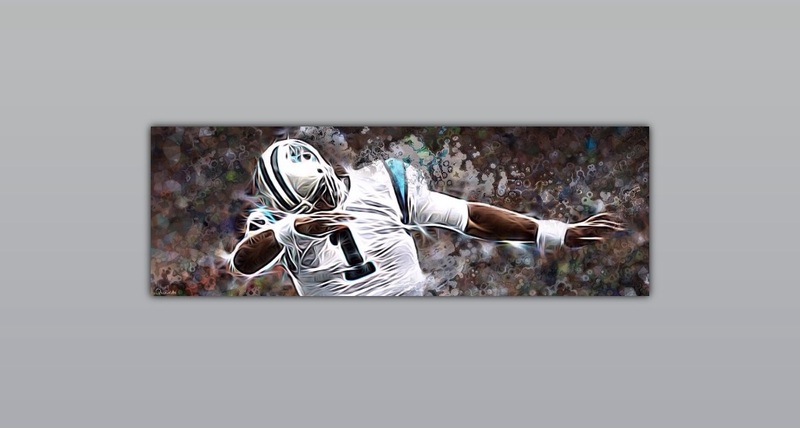 Dab Nation – this is an edit of Cam Newton of the Carolina Panthers doing his infamous celebratory “Dab” move. Get your very own Dab Nation 12×36″ canvas by iQuadits aka me, David Jeffers today! 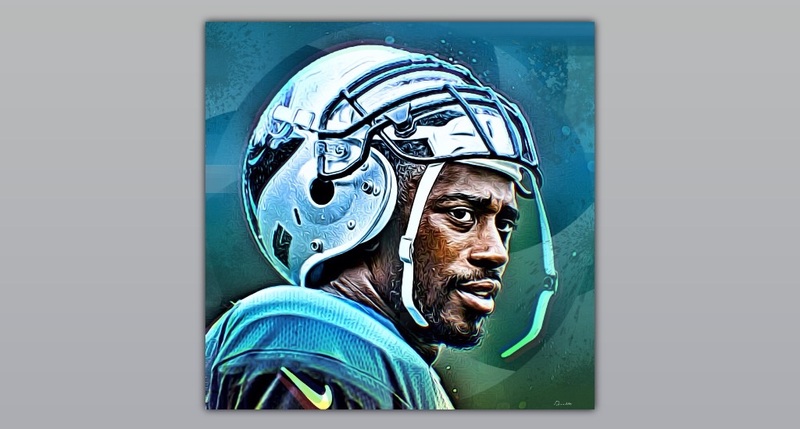 The Harp – this is an edit of the one and only Roman Harper of the Carolina Panthers. Get your canvas of the Harp! 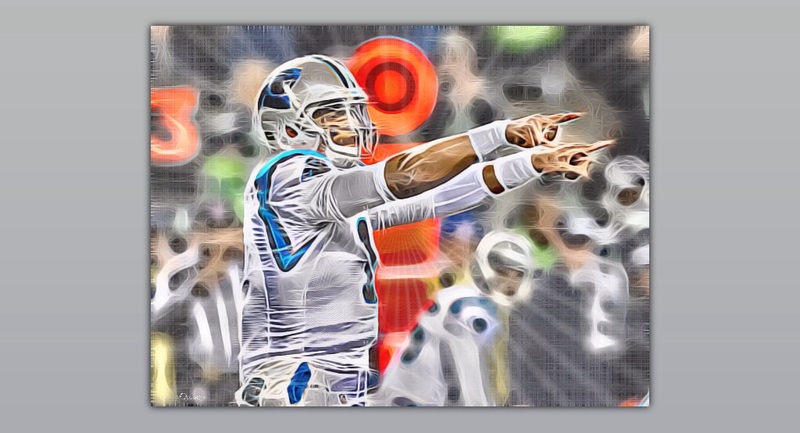 Point ’em Out – this is an edit of the dynamic QB, Cam Newton of the Carolina Panthers. Get your canvas of Cam shouting out his fans and pointing out the haters. 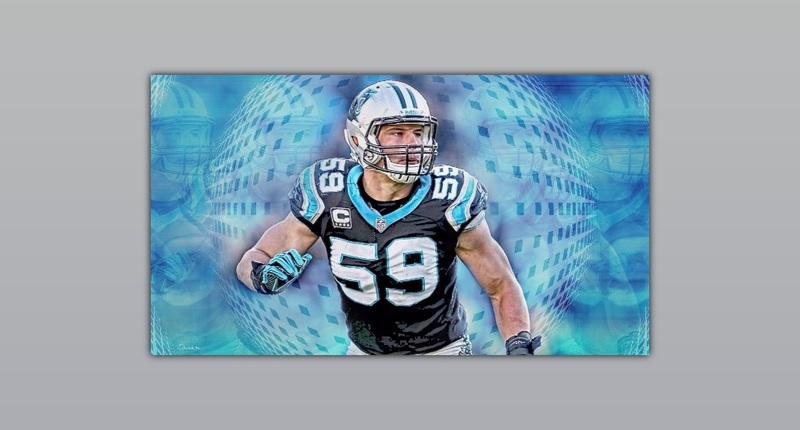 The Force – this is an edit of Luke Kuechly of the Carolina Panthers. Use the force Luke to bring the Panthers another win. Get your canvas for Pather den today! 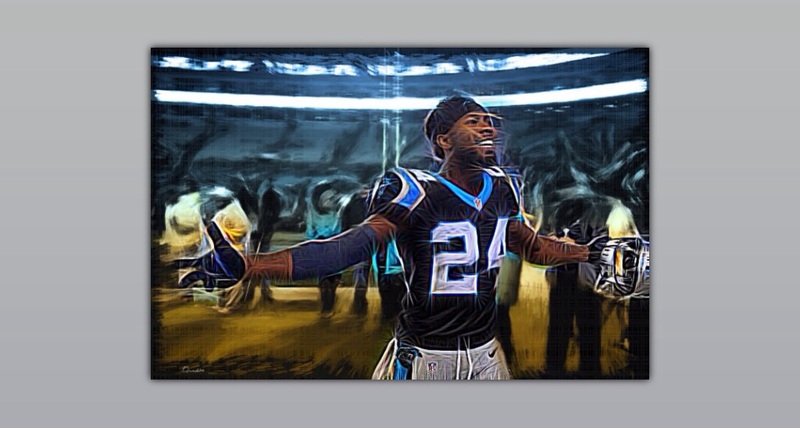 Stormin’ Norman – this is an edit of Josh Norman of the Carolina Panthers. Shake up your wall with this canvas! 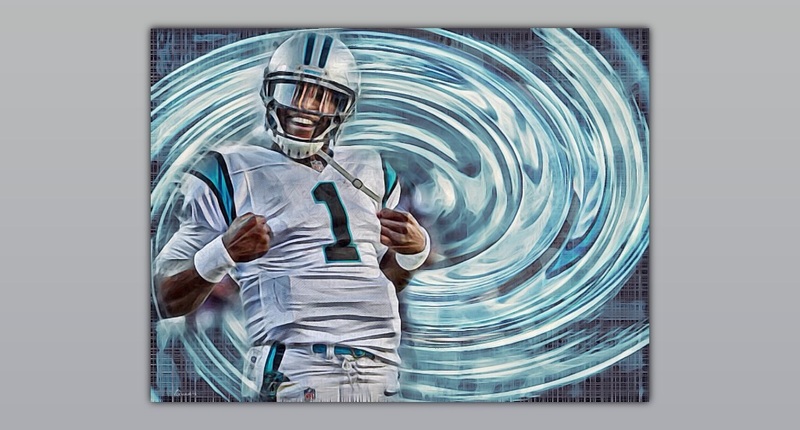 Krypton – this is an edit of the superman himself, Cam Newton, of the Carolina Panthers. Get your canvas of this MVP today! 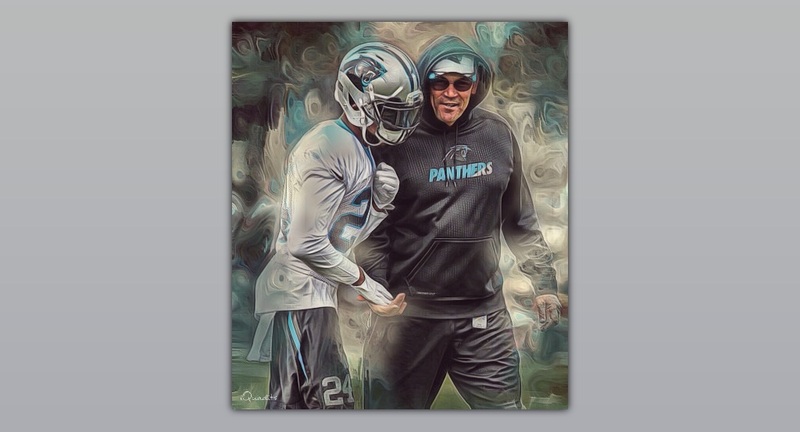 The Talk – this is an edit of Josh Norman and head coach Ron Rivera of the Carolina Panthers. 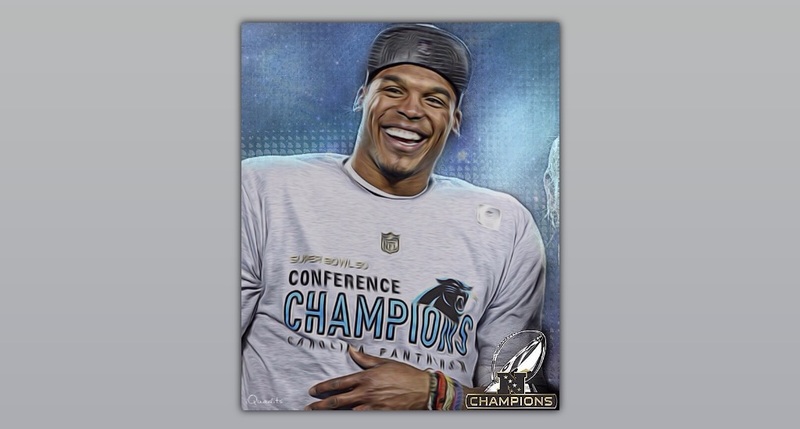 Winning Smile – this is an edit of Cam Newton of the Carolina Panthers flashing that smile after winning the NFC championship. 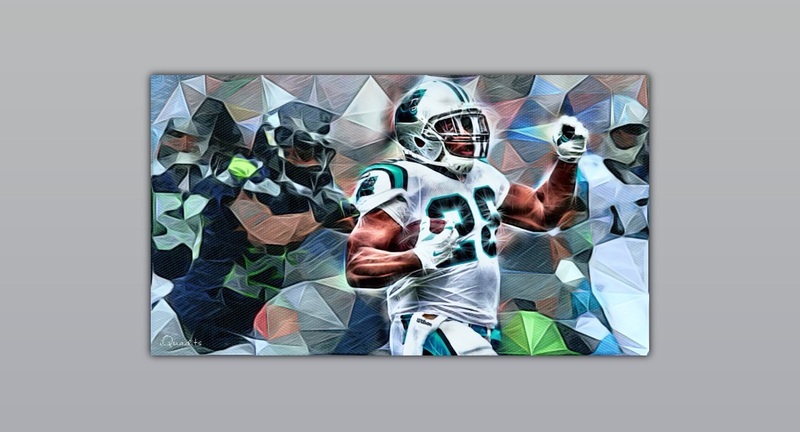 The Run – this is an edit of Jonathan Stewart of the Carolina Panthers, making that epic run on Seatle! 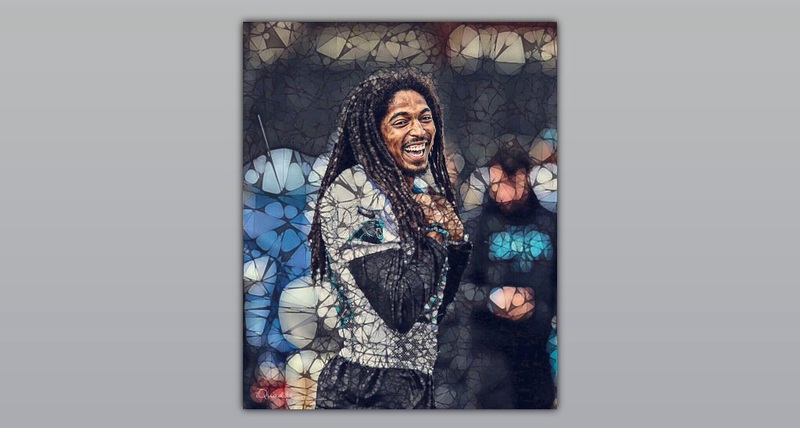 Tre Good Vibes – you have to love the very good vibes of Tre Boston of the Carolina Panthers. 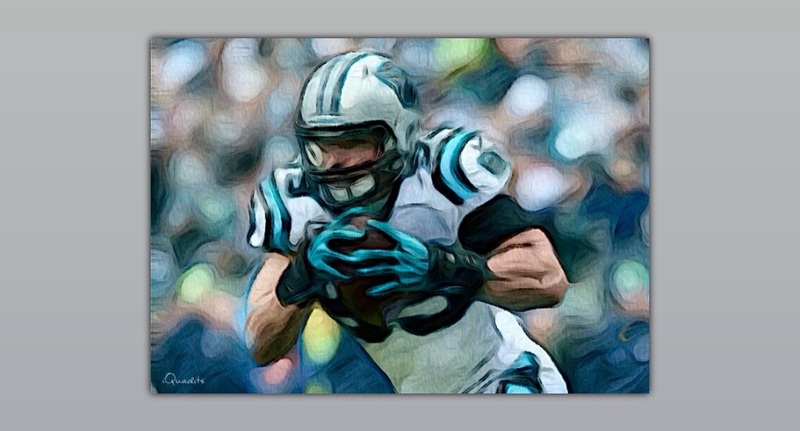 Luke The Five Nine – Luke Kuechly have of the Carolina Panthers getting it done. 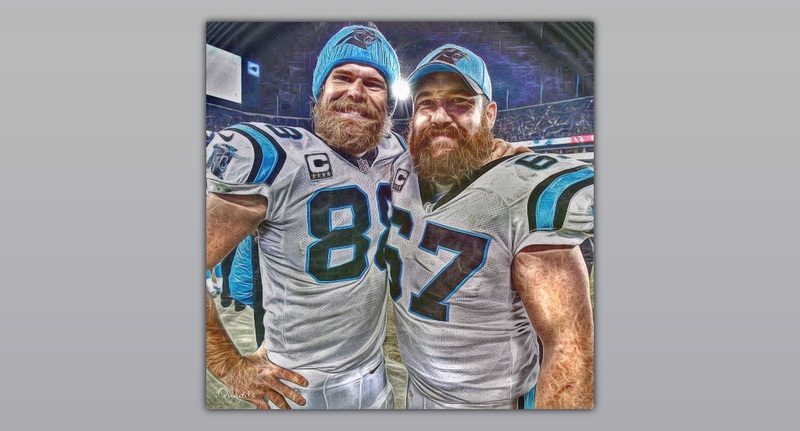 Beard Gang – The Panthers’ offense is money everyday their beard grows, Greg Olsen and Ryan Kalil of the Carolina Panthers. 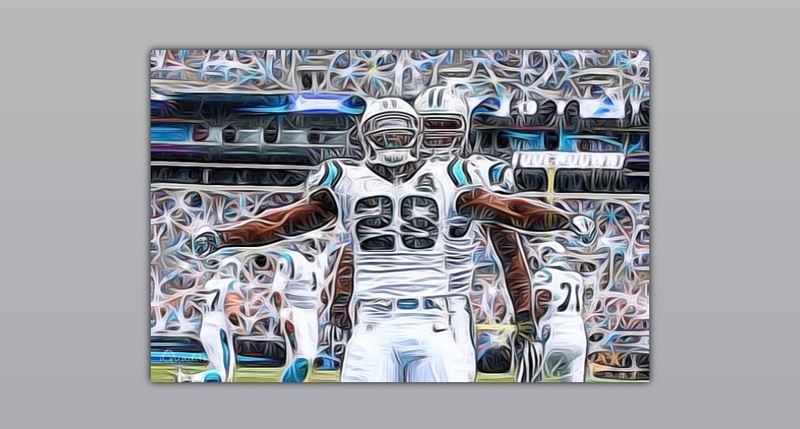 Drive – this is an edit of Jonathan Stewart of the Carolina Panthers, after making a monster drive down field. 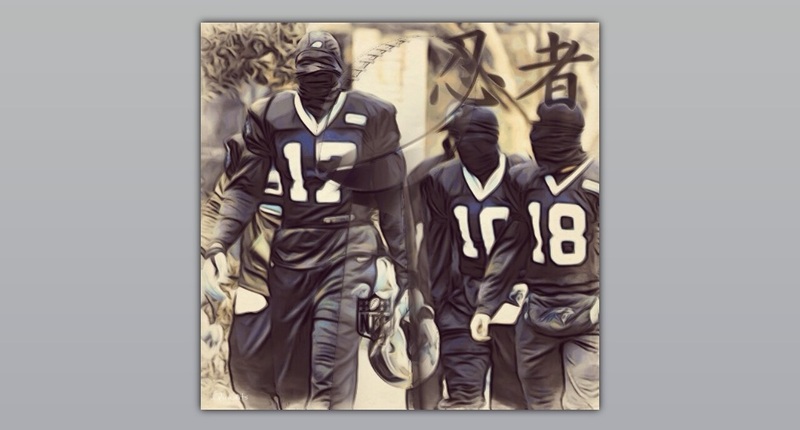 Panther Style – this is an edit of Corey Brown, Devin Funchess and Ted Ginn Jr of the Carolina Panthers, preparing for Super Bowl 50 ninja warrior style. 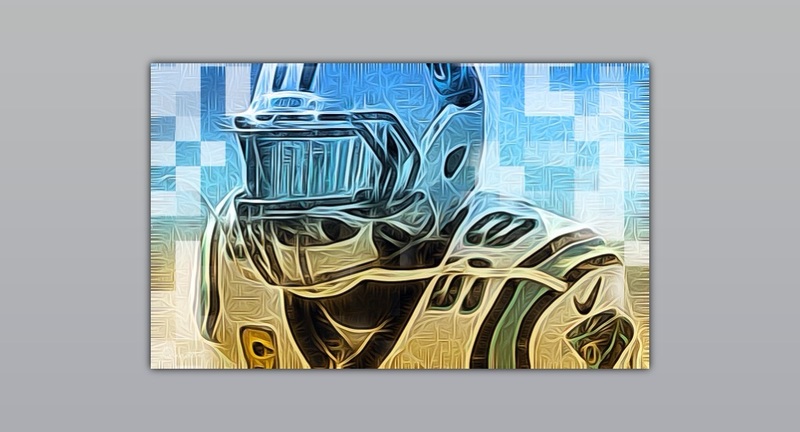 TD Focus – this is an edit of Thomas Davis of the Carolina Panthers. Camo – take your Panthers pride out the man cave with this abstract piece that subtly displays the #1 Cam Newton jersey and Super Bowl 50 logo. G.O. 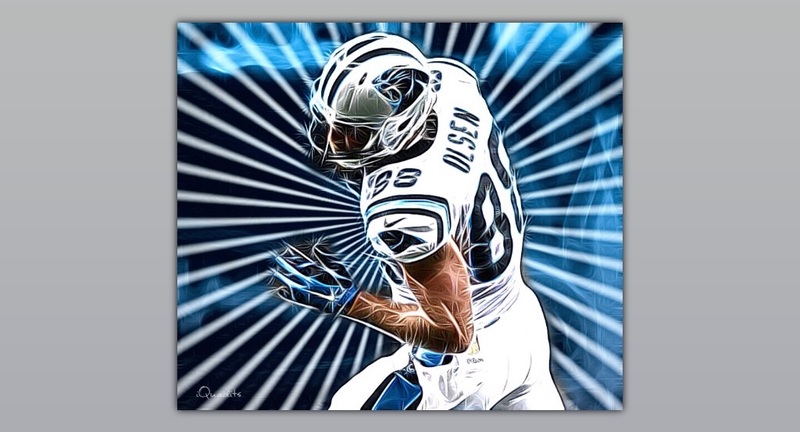 Power II – this is an edit of the power house Greg Olsen of the Carolina Panthers. 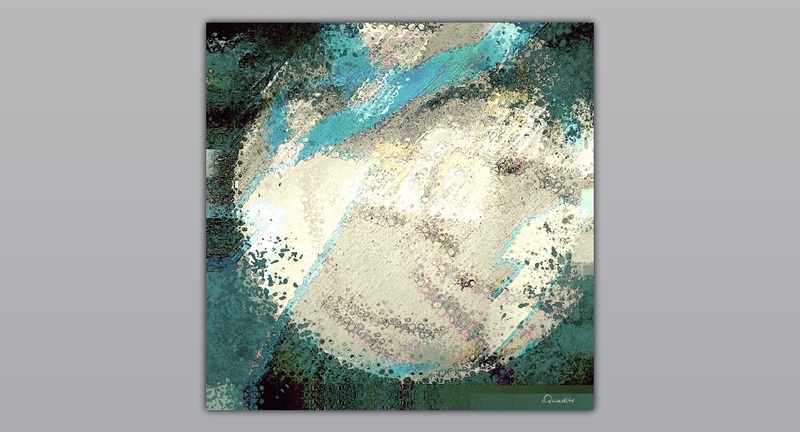 The Mighty O – this is an abstract piece of Michael Oher of the Carolina Panthers. All pricing includes free standard 10-15 day shipping. If you have questions please email me at djeffers7@gmail.com. To see more images search #iQuadits on Instagram. I do custom personalized edits per request. Thanks! I appreciate you checking my page. Awesome art work,I’m working on my Panthers Man Cave . I got to have your work on the cave walls.